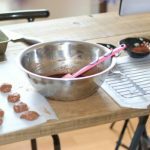 For the past few weeks, I’ve been experimenting with cacao butter and making different types of chocolate. 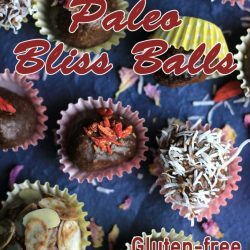 I told myself I’d make some keto paleo bliss balls because I really wanted a quick low car b snack that I could eat after coming home from work. I decided to throw in a bowl different types of nuts, some coconut oil and nut butter. 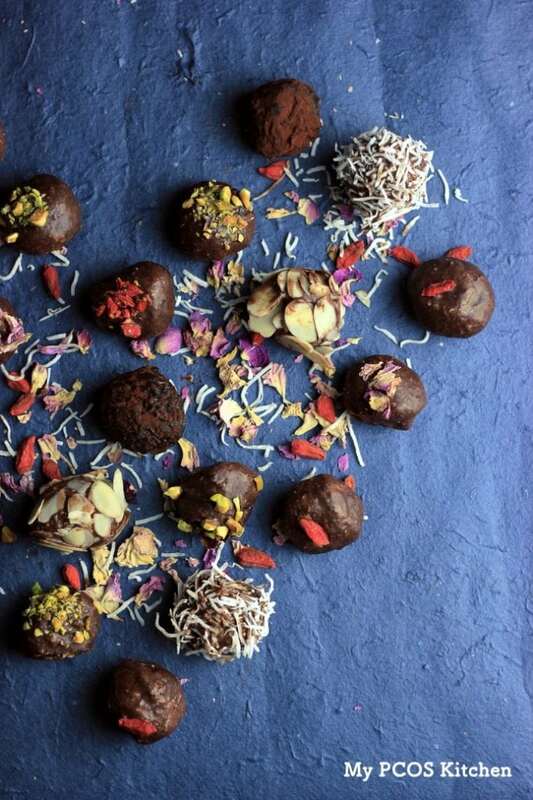 Make some balls and dip them in some homemade chocolate! 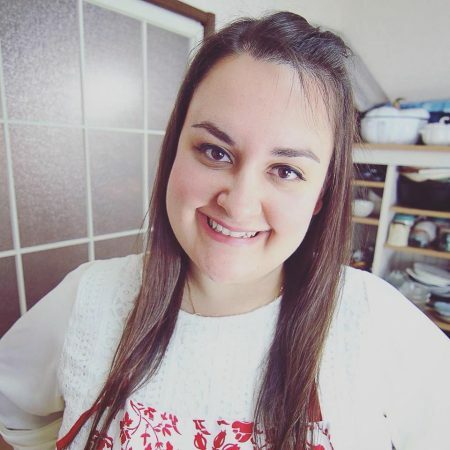 It was really fun making homemade chocolate because that way you know there won’t be any sugar or soy in it. After I dipped all of the balls in the chocolate, I actually had some leftover so I just poured it into molds and made normal chocolates! 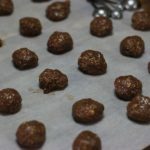 I knew that I wanted to make some nutty bliss balls coated in chocolate, but I didn’t know how I wanted to coat them, so I just took a whole bunch of ingredients I had in my pantry and topped them that way. 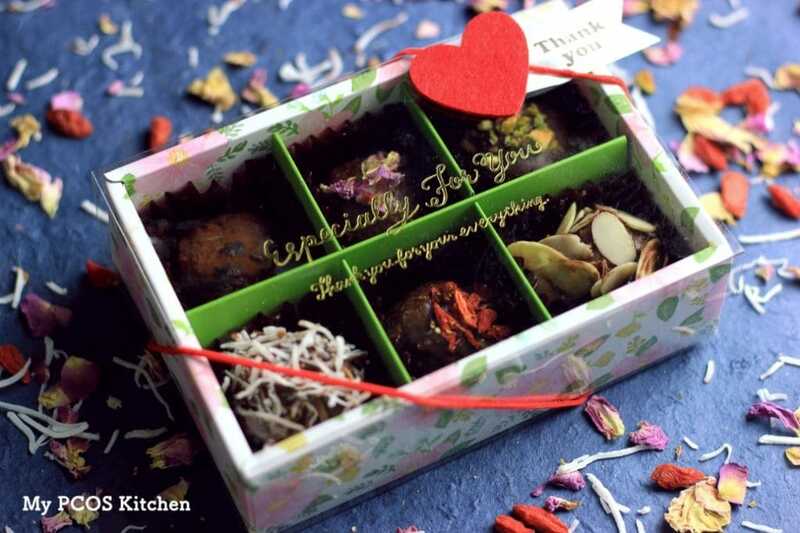 I used some coconut threads, chopped pistachio, goji berries, sliced almonds, cocoa powder and dried rose petals! 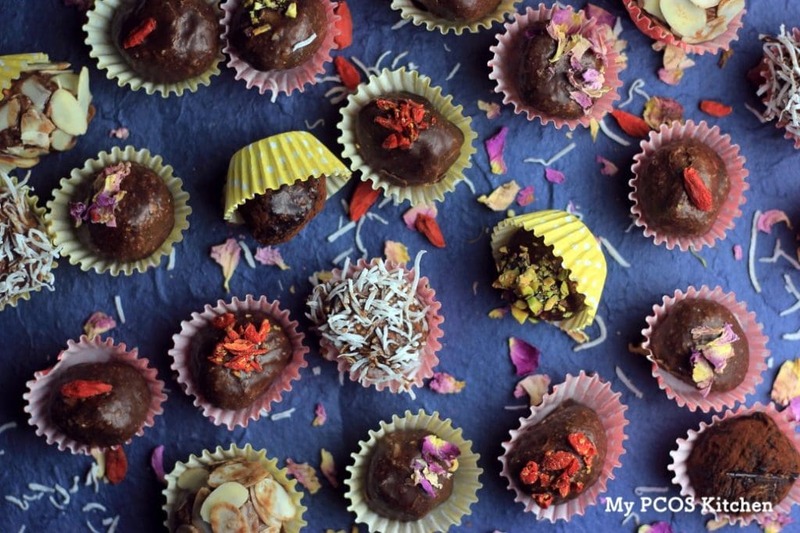 You can use literally anything as it will stick to the chocolate coating and look really pretty either way! I actually decided to make most of these for myself, but also grab a Valentine’s box at the dollar star and will give some of them to my darling this weekend for his birthday! You can also use these as a Valentine’s day gift! I’m sure anyone who would receive these would be extremely happy! 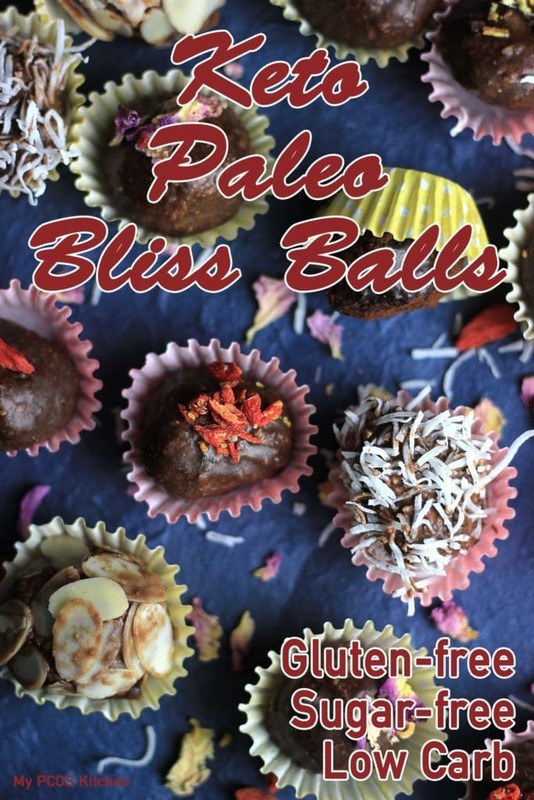 These bliss balls absolutely need to be refrigerated as they will melt and soften in heat. 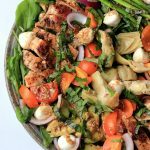 So make sure you put them in a plastic container and either keep them in the fridge or freezer. 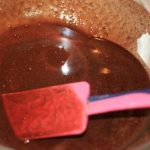 I used some cacao butter,cocoa powder andstevia powder to make the chocolate. 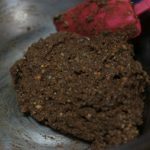 You could also add some milk powder or coconut milk powder if you wanted to make a milk chocolate, or you could just use some coconut oil, cocoa powder and stevia powder! 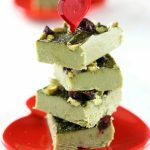 Place the almonds, cashews and walnuts in a food processor and mix for 20-30 seconds, or until they are all chopped up. Add all of the ingredients to the food processor and mix until a thick dough forms. Put the dough into the fridge and let cool for 20 minutes. 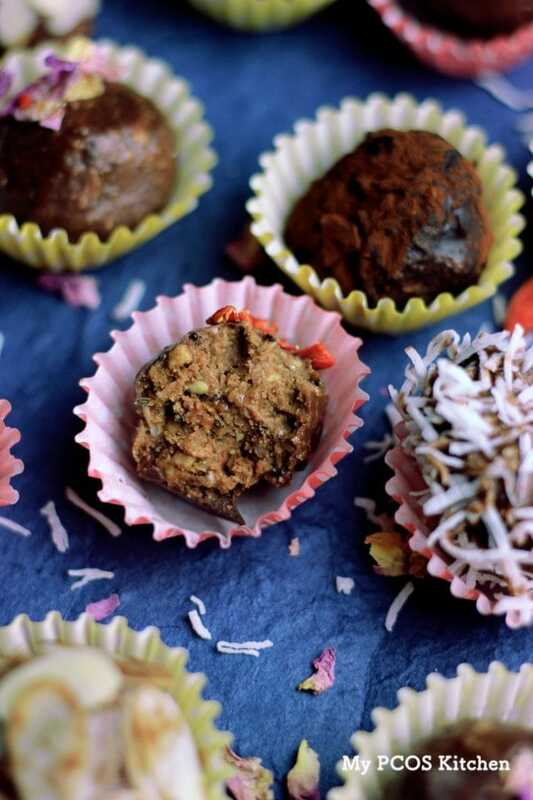 Take the dough out of the fridge and make 24 small balls with the palm of your hands. Place each ball on a sheet of parchment paper and once done, cool in the fridge for an hour. After the balls have cooled for about 50 minutes, you can start making the homemade chocolate. With a cheese grater, grate the cacao butter into small pieces. Put some water to simmer at 60C/140F in a small pot or double boiler, and add a metal bowl over the pot. Make sure the bowl is not touching the water. Add the grated cacao butter in the bowl and melt while whisking it evenly. Turn off the heat, add the cocoa powder and stevia powder. 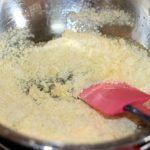 If you're using milk powder, also add it here. Mix until everything is evenly combined. Set up your working station. 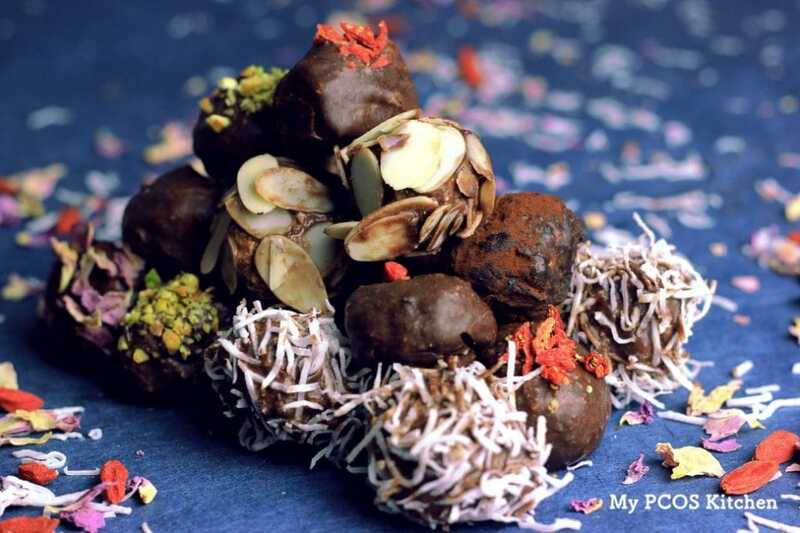 Put the bliss balls on the table, next to them place the chocolate, and next to the chocolate, place your toppings of choice and prepare a grill or parchment paper so that the chocolate balls can dry. With a thermometer, check the chocolate's temperature. Once it hits 33C/90F, it'll be cool and thick enough to coat the bliss balls. 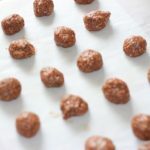 Dip each ball into the chocolate, coating it on all sides, place the balls over the prepare grill or parchment paper and coat right away with the toppings of your choice. If you wait until the chocolate dries, the toppings will not stick to your bliss balls. 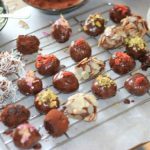 Once all of the bliss balls are coated and decorated with toppings, enjoy them right away or place them in the fridge or freezer so that they don't melt! Keep refrigerated as they will melt. Love to bake those and offer them as gifts! 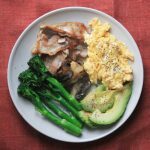 Can I use other oil than coconut ?